This past April, FirstMed’s resident heart doctor, internist and one of a handful of staff still around from the early days of the clinic, Dr. Judit Seidner, jetted off to Chicago, “The city of big shoulders”, for the American College of Cardiology’s 16th congress. Getting together with some of the US’s top cardiologists, Dr. Seidner returned home with lots of new insights and experience. The only downside was that the conference was so interesting she barely had any chance to explore the Windy City. How was the congress for you? This was an amazing and well-organized conference, with only prestigious sessions full of the recent and most thrilling innovations in my field. During these presentations it was not unusual to observe recordings of professionals performing invasive medical interventions, coronary angioplasties or valve replacements via a catheter. To this point I had only attended local European conferences, so this was my very first time to experience the American version thanks to the support of our director Dennis Diokno, who puts a priority on continuing education. What was the most exciting thing for you during the conference? This event was a huge conference in a space as big as Budapest’s Hungexpo. They had “hands on” tutorials, mostly ultrasound-related, which were the ones I was most interested in participating. We had the chance to learn the most up-to-date skills and see them performed in practice. These brand-new machines, with their computerized background systems, are very professional but also require a fair bit of computer skill, making it not as easy as reading screen results from the standard CT or the US (Ultrasound) scans. Could you tell us something about the presenters? It was also a big plus that I was able to understand all of the speakers quite clearly. Unfortunately European conferences sometimes have presenters with quite strong French or Germanic accents, often making it quite difficult to understand the material that is being presented. Working in a facility where English is the main language of operations most of the time, I am quite at ease with it. Additionally, even though I am not practicing invasive cardiology, seeing new trends in action, namely the open-heart surgeries, is quite interesting to me. For less at-risk patients American cardiologists are able to perform valve replacement surgeries through the skin, rather than through the ribcage. This type of surgery is quite popular nowadays as they do not directly enter the heart but instead operate via the arteries to change valves. In Hungary we have only performed a few of this type, while in the US it is quite typical. This type of surgical intervention is still in an experimental phase, performed only on those kinds of patients who are at a high risk of dying during open-heart surgery. There is always a medical board of doctors who decide which patients are able to participate in the experiment. Of course they decide the method of the operation itself as well. 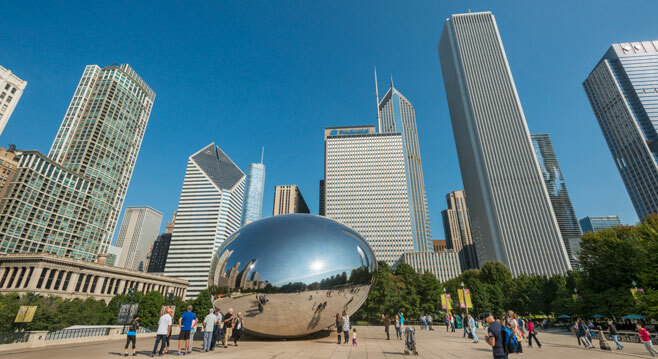 What other new tips or skills did you learn during your stay in Chicago? Another example is of new and more efficient medications for treating high cholesterol. They demonstrated an injection that should be given to the patients twice a month which stabilizes cholesterol levels. It is used in justified cases to substitute oral medications. With all the new information and the sessions I could not attend due to sitting in on other sessions, it was highly beneficial that we were given access to all of the information, medical materials and recorded lectures that were held during the conference. I know there were several interesting sessions which I very much wanted to attend but another was more fitting to my current situation. Certainly being able to view, or review, later is a major plus when there is so much going on. During a conference like this, is it possible to connect with other professionals as well? Honestly I really only had the chance to speak longer that introductory chit-chat with two guests, mainly because I didn’t have enough time. You wouldn’t believe how vast the convention center really is until you’ve walked many kilometers throughout the day, getting from one location to the other. Although you could speak after the sessions, the day was packed so tightly that getting from the end of one to the start of the next required you to keep moving. I didn’t come this far to miss out on any of the sessions that could be useful for me and my patients. A funny moment actually came when I was trying to find my way back to my hotel and stopped to ask a gentleman for directions. He helped me out with beautiful English, but just as soon as I mentioned my home is Budapest he switched to Hungarian and told me he lived in Hungary for six years. It is a small world for us Hungarians. A special thanks to Dr. Seidner for speaking with us about her trip to the American College of Cardiology’s congress. Over the past 17 years she has been part of the foundation that has made FirstMed what it is today. Dr. Seidner is an integral part of the FirstMed team providing our patients with cardiology and internal medicine support. She can be found in both our Hattyúház and Hűvösvölgyi locations during the week.